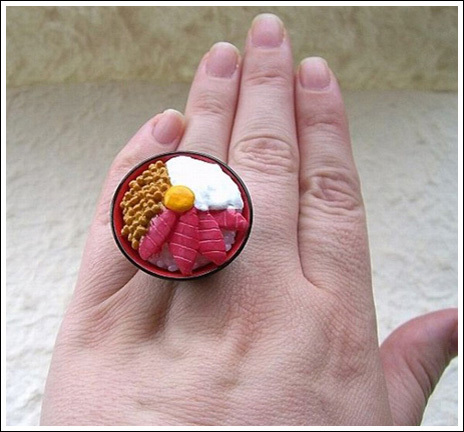 Use our "Random Page" button to randomly browse our cool website! 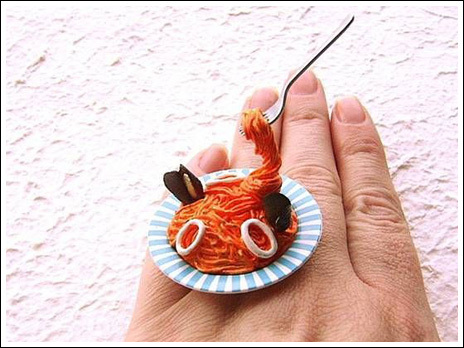 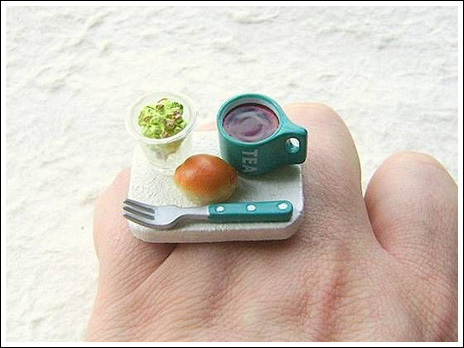 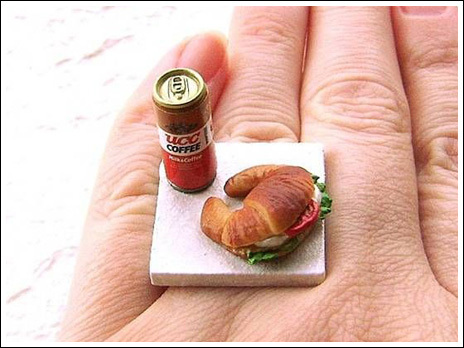 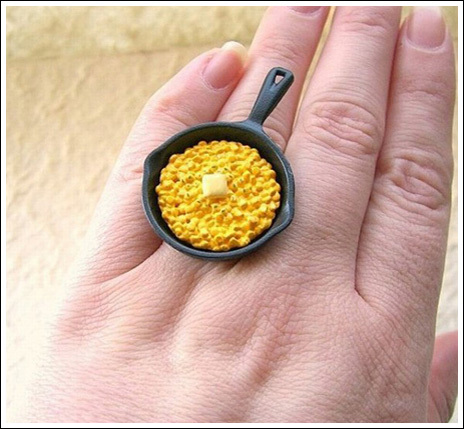 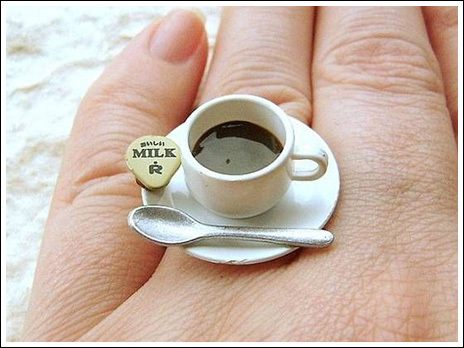 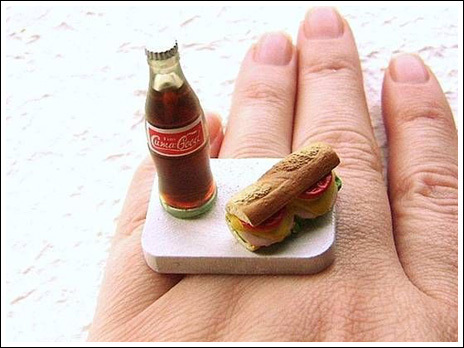 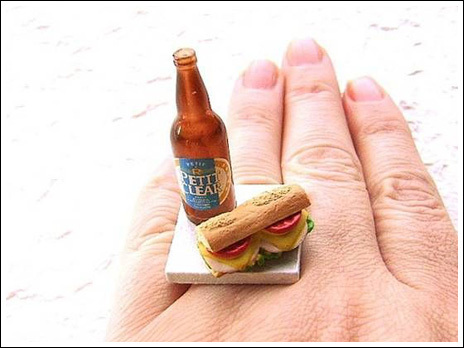 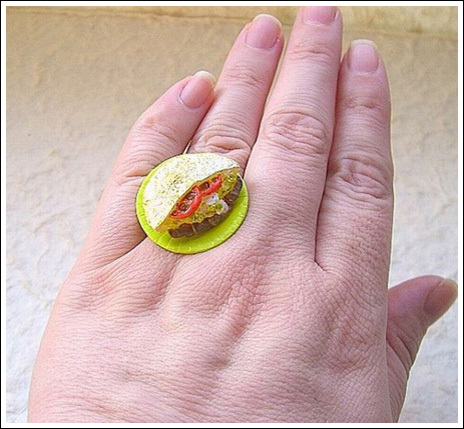 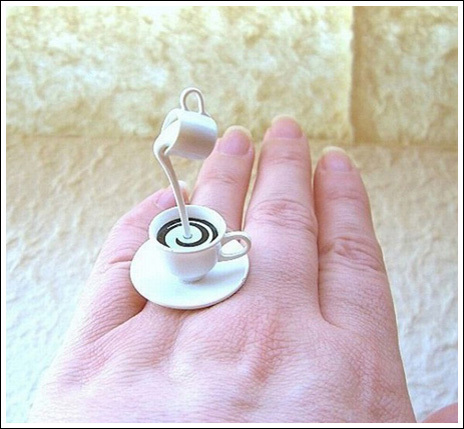 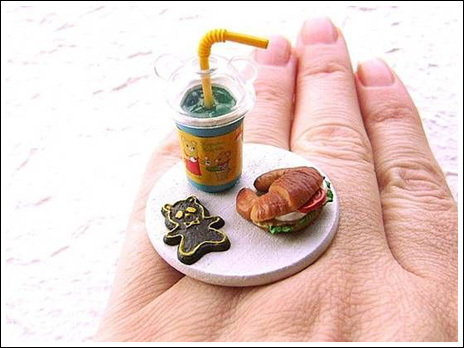 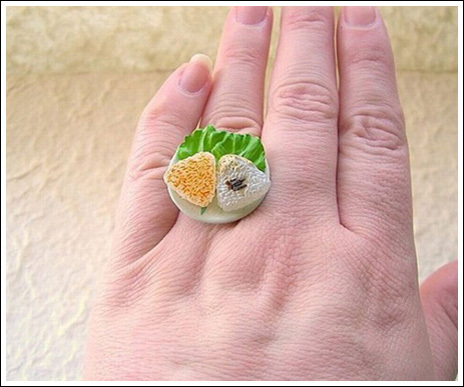 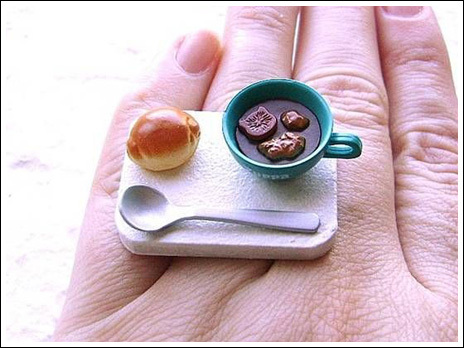 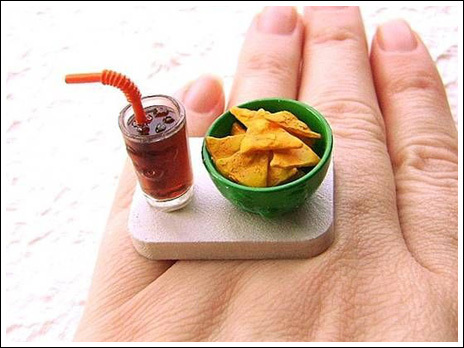 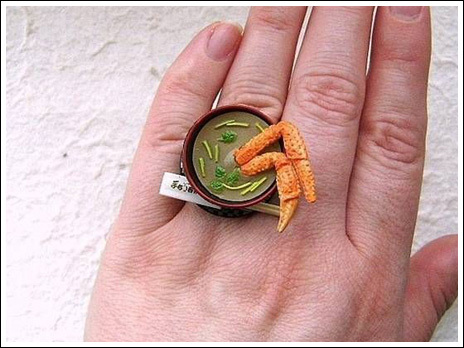 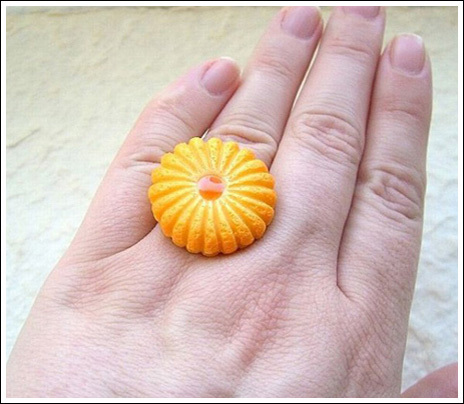 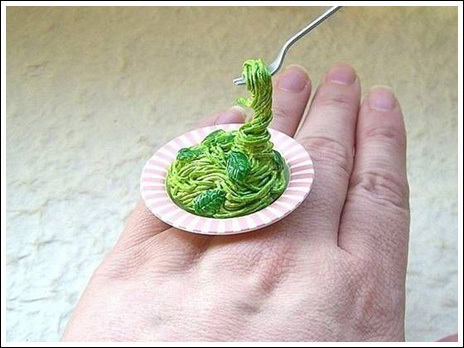 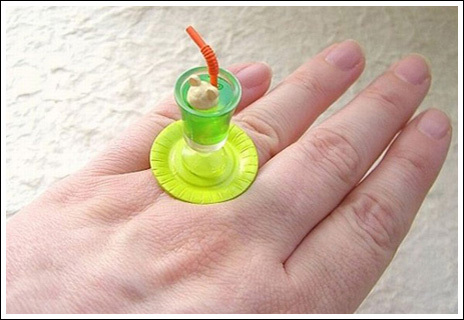 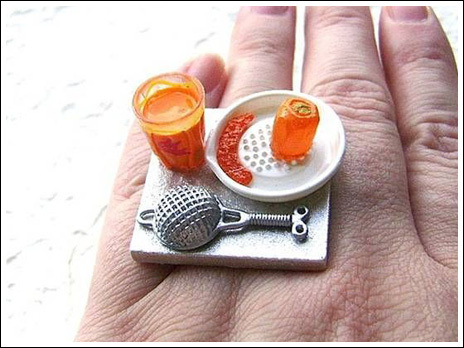 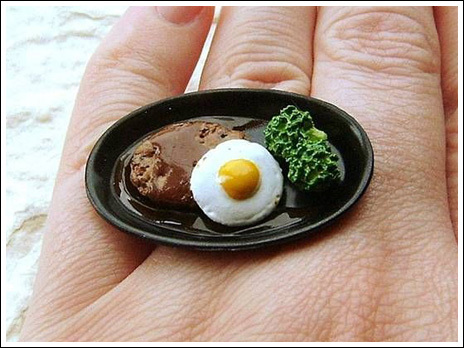 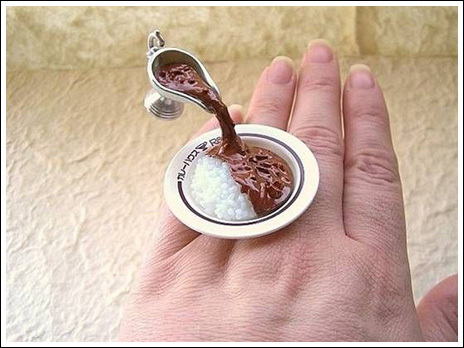 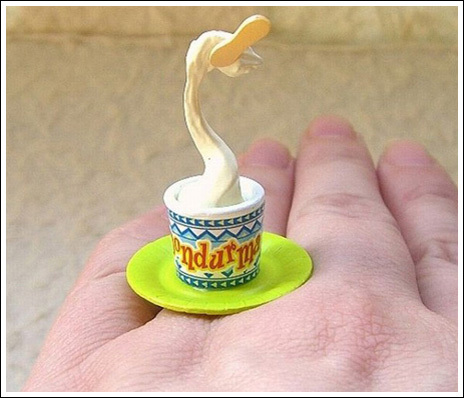 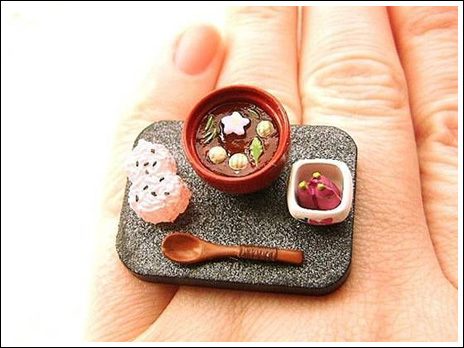 Miniature food rings created by Sofia Molnar. 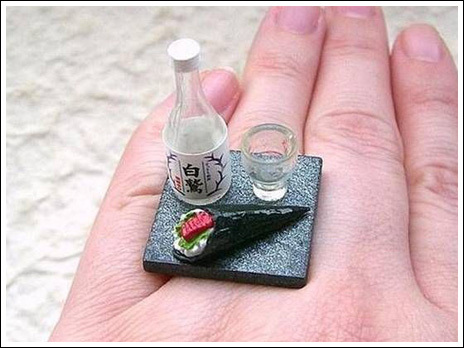 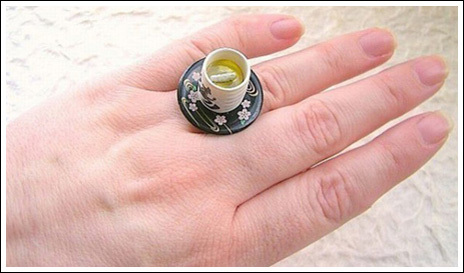 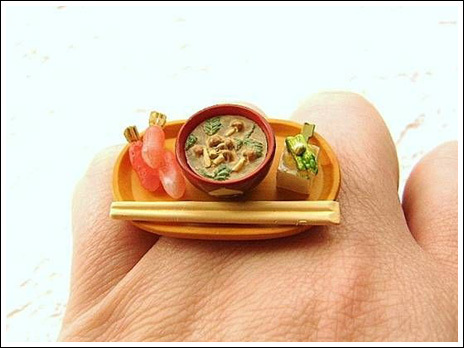 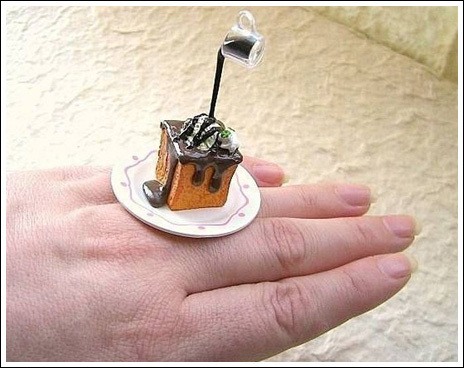 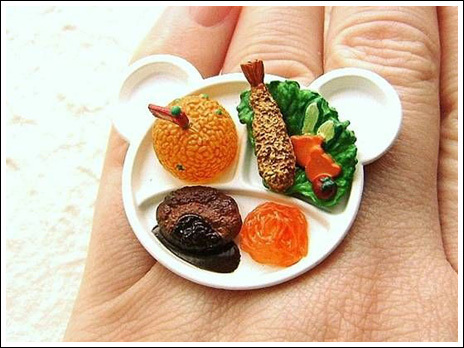 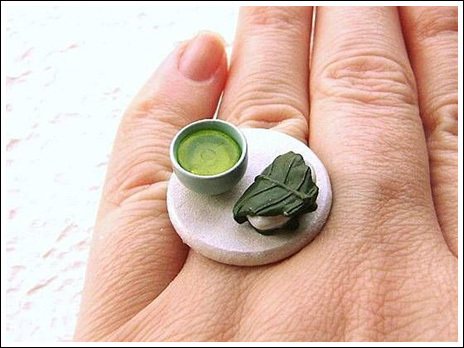 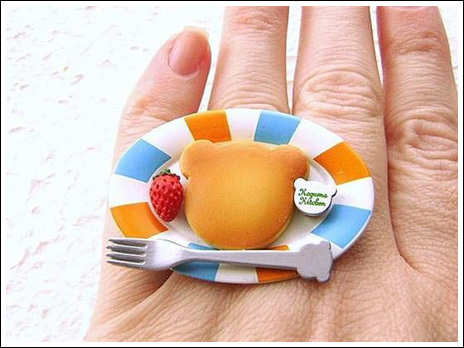 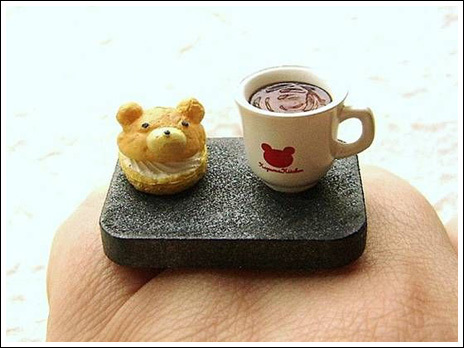 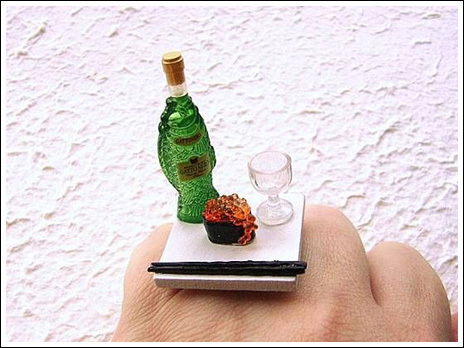 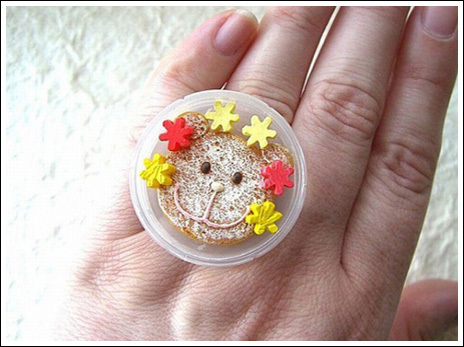 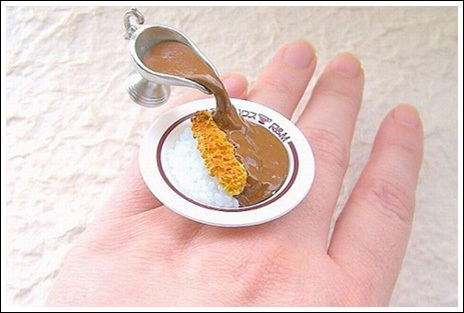 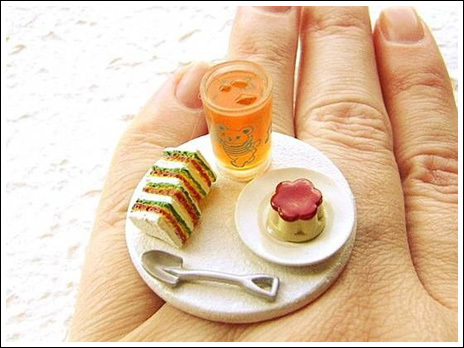 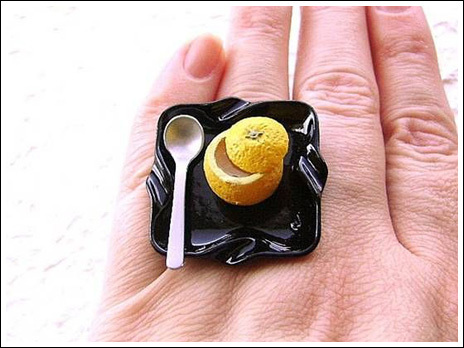 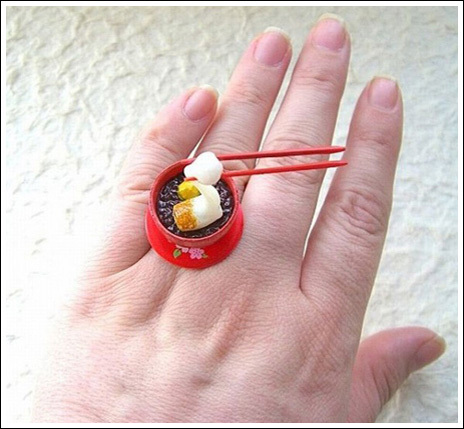 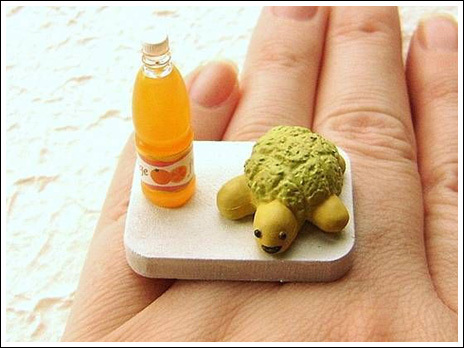 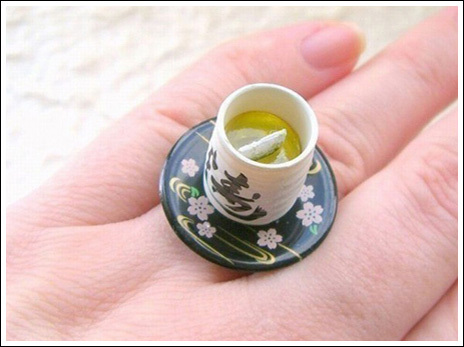 Miniature meals are at the tips of your fingers thanks to these funky Japanese-inspired food rings. 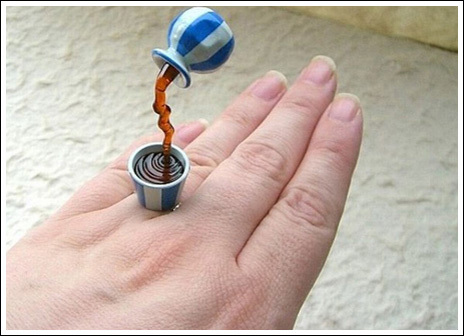 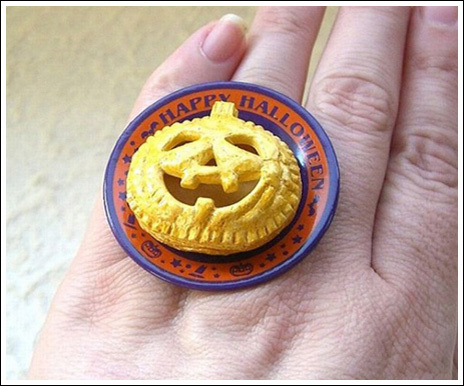 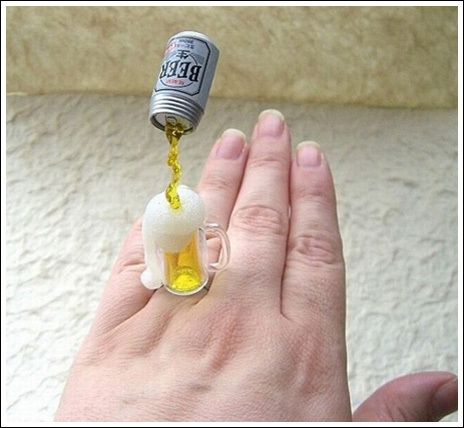 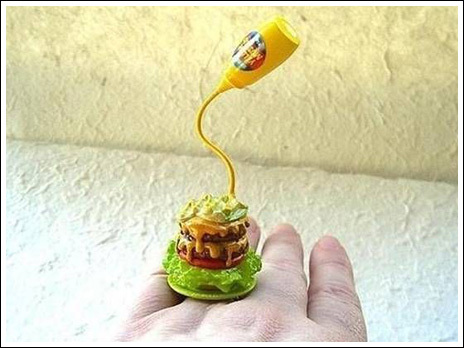 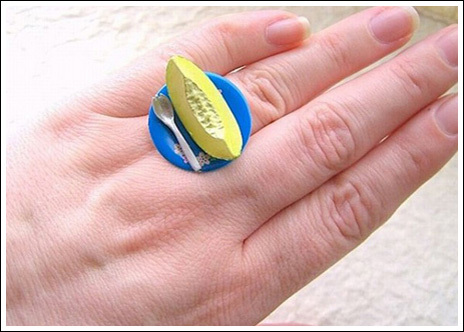 The rings may look edible, but they are made of plastic and glue. 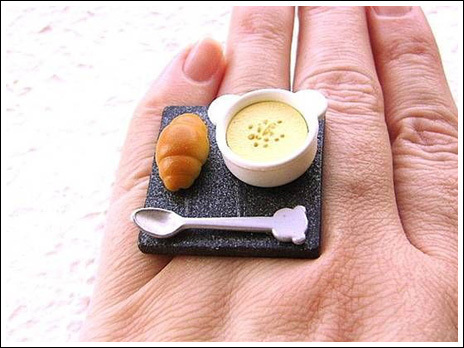 Each one is individually hand crafted by Sofia Molnar and can be customised to represent the favourite food of the customer or commemorate a special meal they have had. 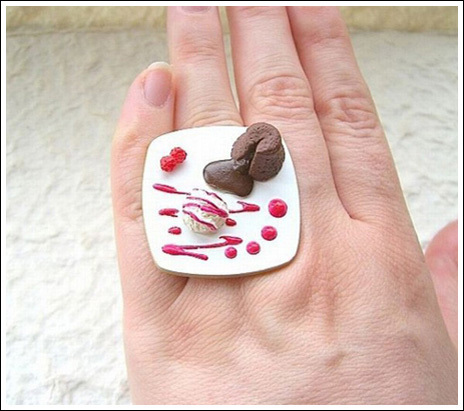 Site © 2007-2017 BaraSkit.se | All other trademarks are the property of their respective owners.